Robert McCammon received a B.A. in Journalism from the University of Alabama in 1974. After graduation, he wrote advertising copy for Birmingham businesses and newspapers. He lives in Birmingham with his wife and daughter. Despite this strong association with the South, its history and traditions played little substantial role in his early work but have become evident in later novels. Learn more at Robert McCammon’s website or the Matthew Corbett website. Michael Gallatin — (1989-2014) Publisher: First published in 1989, The Wolf’s Hour remains one of Robert McCammon’s most indelible creations. Ranging freely and with great authority through realms of history, folklore, and myth, it combines two seemingly disparate genres the World War II action thriller and the paranormal romance into a seamless, irresistible whole. McCammon’s hero is Michael Gallatin, embattled inhabitant of two different worlds. 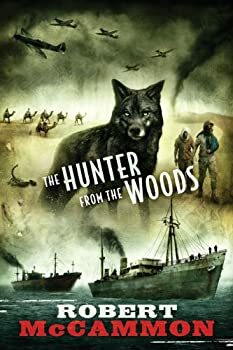 Born into the Russian aristocracy, but ‘changed’ and raised by a pack of werewolves, Michael’s journey takes him from the wild regions of his native Russia to the battle-scarred landscapes of a world at war. 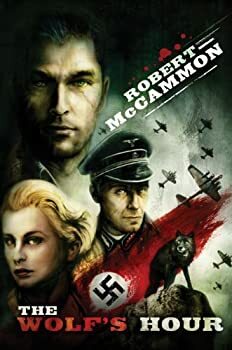 Offering his unique talents to the Allied cause, Michael becomes a sort of secret weapon aimed at the destruction of Hitler and his ‘Thousand Year Reich.’ His adventures take him from the deserts of North Africa to the German-occupied countries of Western Europe. There, with the aid of a vivid assortment of friends, comrades, and lovers, he uncovers a horrific conspiracy known as ‘Iron Fist,’ which threatens to disrupt the Allies’ long-planned invasion of Europe and to alter the very outcome of the war. Both a scrupulously researched historical thriller and a brilliant re-imagining of the traditional werewolf tale, The Wolf’s Hour offers pleasure, excitement, and illumination on virtually every page. Exotic, enthralling, and endlessly inventive, it is the work of a master storyteller in full command of his matchless narrative gifts. The Subterranean Press edition of The Wolf’s Hour will feature an original introduction by Robert McCammon, as well as a full-color dust jacket and a number of color plates by Vincent Chong, including a gatefold illustration depicting the novel’s famous ‘death train’ scene. As the Allied forces plan for D-Day, rumors surface within covert operations that the Nazis may have a final, deadly ace in the hole. With so much depending on the Allied invasion, the very best agent must be sent deep into enemy territory to thwart whatever it is that the Nazis have in store. What makes this British spy so special is that Michael Gallatin is a werewolf. “The Great White Way” — Young Michael Gallatin has left the Russian forests and his pack. He finds refuge with a gypsy circus but is soon entrapped in a deadly love triangle. “The Man from London” — Michael has been adopted by a small Russian village. In turn, as a werewolf, he provides them with fresh meat and protection. A secret agent has come all the way from London to recruit Gallatin into British special operations and the war has come with him. “Sea Chase” — In the guise of a sea-man, Gallatin has been assigned to watch over a weapons engineer and his family as they try to escape Nazi Germany aboard an old freighter. I Travel by Night — (2013- ) I Travel by Night marks Robert McCammon’s triumphant return to the sort of flamboyant, go-for-broke horror fiction that has earned him an international reputation and a legion of devoted fans. 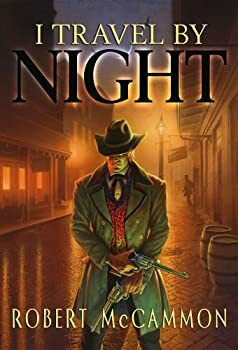 The terrors of the Dark Society, the gothic sensibilities of old New Orleans, and the tortured existence of the unforgettable vampire adventurer Trevor Lawson all combine into a heady brew that will thrill McCammon s loyal readers and earn him new ones as well. For Lawson, the horrors that stalked the Civil War battlefield at Shiloh were more than just those of war. After being forcibly given the gift of undeath by the mysterious vampire queen LaRouge, Lawson chose to cling to what remained of his humanity and fought his way free of the Dark Society’s clutches. In the decades since, he has roamed late nineteenth century America, doing what good he can as he travels by night, combating evils mundane and supernatural, and always seeking the key to regaining a mortal life. That key lies with his maker, and now Lawson hopes to find LaRouge at the heart of a Louisiana swamp with the aid of a haunted priest and an unexpected ally. In the tornado-wracked ghost town of Nocturne, Lawson must face down monstrous enemies, the rising sun, and his own nature. Readers will not want to miss this thrilling new dark novella from a master storyteller. Trevor Lawson is a vampire, made by a scavenger on a Civil War battlefield. Now, more than 20 years since he was turned, he continues to fight his nature as hard as he can. It is becoming progressively more difficult for him to look at a crucifix or suffer even the indirect rays of the sun. But he nonetheless battles other vampires, even as the silver of his bullets burns his fingers as he loads his gun. The first Robert McCammon book I ever read was Swan Song, a post-apocalyptic horror story about the choices people make when there are no rules. 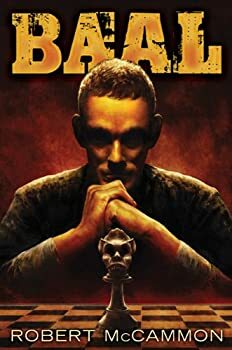 Baal, published in 1978 and reissued by Subterranean Press, explores many of the same themes. I expected this book would have some historical interest for me, as a look back at how a mature writer got his start. To my surprise I found compelling writing and a character I cared about. At the age of twenty-five, when he sold this book, McCammon could write. He could create suspense, and ask the tough questions. Robert McCammon originally published Bethany’s Sin in 1980. Subterranean Press is reissuing it just in time for Halloween. This horror novel covered familiar territory even in 1980, with its “perfect little village with a dark secret,” but McCammon’s good characterization managed to make it fresh, and there are a few twists along the way. The book opens with an archeological dig in Turkey, where an unnamed woman makes an extraordinary discovery. The next section deals with an American soldier, a prisoner of war, being tortured by the Viet Cong. Specifically, Evan Reid is being tortured by a woman. 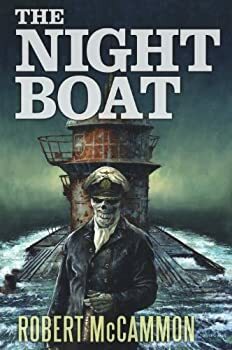 The Night Boat was Robert R. McCammon’s third published novel, first appearing in 1980. Now Subterranean Press has brought it back as a (sold out) limited edition, and also made it available in e-book format for the first time. It betrays some of the faults of a then-new writer, but also has considerable power in its portrayal of Nazi submariners, as terrifying 35 years after the end of World War II as they were in the days when they lurked in the deep waters of the Atlantic Ocean — if not more so. 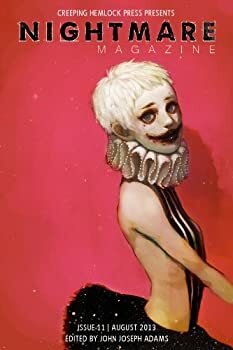 Matthew Cheney’s “How Far to Englishman’s Bay” leads off the eleventh issue of Nightmare Magazine. Max, the protagonist, impulsively decides to close up his bookshop and permanently leave his home on the day he turns 50. Max drives miles away from his home, finally deciding he’s lost and stopping to ask directions. It’s here that his story has its denouement in an odd bit of horror that seems unrelated to what went before, all the detail about his leaving, its effect on a friend, giving away his cat, gathering snacks — a full half of the tale. Is there a moral to this story? Perhaps: that we should not be so concerned with the years that have gone before that we forget to plan for those that still lie ahead. Or maybe that being self-centered is bad. Or maybe that obesity can have unexpected consequences. It’s a strange story that doesn’t coalesce into a focused tale. Matthew Corbett — (2002-2016) Publisher: The Carolinas, 1699: The citizens of Fount Royal believe a witch has cursed their town with inexplicable tragedies — and they demand that beautiful widow Rachel Howarth be tried and executed for witchcraft. Presiding over the trial is traveling magistrate Issac Woodward, aided by his astute young clerk, Matthew Corbett. Believing in Rachel’s innocence, Matthew will soon confront the true evil at work in Fount Royal… Evil Unveiled. After hearing damning testimony, magistrate Woodward sentences the accused witch to death by burning. Desperate to exonerate the woman he has come to love, Matthew begins his own investigation among the townspeople. Piecing together the truth, he has no choice but to vanquish a force more malevolent than witchcraft in order to save his beloved Rachel — and free Fount Royal from the menace claiming innocent lives. They Thirst — (1981) Publishers Weekly: Prince Vulkan, master of the vampires, has loosed his army of the undead on Los Angeles in this seamlessly written horror novel by the author of Mine. Vulkan’s plan is to replace humankind, city by city, with the living dead. Four people stand in his way. Homicide detective Andy Palatazin, a Hungarian immigrant who fled this scourge as a child, is determined to stop it now. Young Tommy Chandler, whose parents were killed before his eyes, wants revenge. TV star Wes Richer hopes to save his beloved by tracking Vulkan to his lair. Father Silvera, a dying priest, believes that God has chosen him to destroy the vampire prince. Wreaking death and carnage, Vulkan proceeds to a final confrontation between the forces of good and evil. 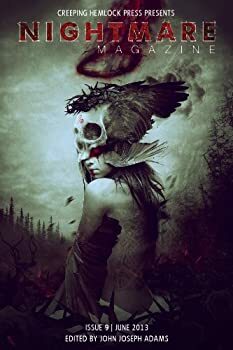 McCammon delivers terror with skillful ferocity as he pays tribute to masters of the genre and raises the standards for the craft a notch or two. Mystery Walk — (1983) Publisher: Two young psychics do battle with an ancient evil. Billy Creekmore was born to be a psychic. His mother, a Choctaw Indian schooled in her tribe’s ancient mysticism, understood that the barrier between life and death is permeable. She knew how to cross it, and used that knowledge to help the dead rest easier. She passed that power on to her son, and he has spent his whole life learning how to communicate with the dead to prevent them from meddling with the living. Though his powers are the same, Wayne Falconer’s background could not be more different. The son of a prominent preacher, he would be disowned if his father learned he was using supernatural powers in service of the church. Though they don’t know each other, Billy and Wayne share a recurring dream — and a common enemy. When a nightmarish monster descends on their community in Alabama, mankind’s fate will rest in their hands. Stinger — (1988) Publisher: A UFO crash sends a small Texas town into uproar. The sun rises on Inferno and Bordertown: patches of civilization carved out of the tough Texas earth, watching each other and waiting to see which dies first. The copper mine is finished, and both towns — one for the whites and one for the Mexicans — are wasting away. Now a pair of mysterious visitors is about to make them shrink faster. The black ball lands first. A small sphere, snapped off of an alien ship as it plummets through the atmosphere, it explodes onto Jessie Hammond’s truck. When Jessie’s daughter picks it up, the object possesses the young girl’s body and begins trying to communicate. As Jessie tries to rescue her daughter, something far more deadly sets down in the desert. An interstellar war has come to Texas, and Inferno is going to burn. Mine — (1990) Publisher: Robert McCammon captivates readers and stretches the boundaries of imagination with every new book he writes. There are now over 5 million copies of his books in print, and his last three novels, The Wolf’s Hour, Stinger, and Swan Song, were New York Times bestsellers, earning him accolades as one of the most innovative storytellers of our time. In Mine, McCammon takes the reader beyond terror . . . into one woman’s shocking world of madness and obsesion. Boy’s Life — (1991) Publisher: In me are the memories of a boy’s life, spent in that realm of enchantments. These are the things I want to tell you… Robert McCammon delivers “a tour de force of storytelling” (BookPage) in his award-winning masterpiece, a novel of Southern boyhood, growing up in the 1960s, that reaches far beyond that evocative landscape to touch readers universally. Boy’s Life is a richly imagined, spellbinding portrait of the magical worldview of the young — and of innocence lost. Zephyr, Alabama, is an idyllic hometown for eleven-year-old Cory Mackenson — a place where monsters swim the river deep and friends are forever. Then, one cold spring morning, Cory and his father witness a car plunge into a lake — and a desperate rescue attempt brings his father face-to-face with a terrible, haunting vision of death. As Cory struggles to understand his father’s pain, his eyes are slowly opened to the forces of good and evil that surround him. From an ancient mystic who can hear the dead and bewitch the living, to a violent clan of moonshiners, Cory must confront the secrets that hide in the shadows of his hometown — for his father’s sanity and his own life hang in the balance…. Gone South — (1992) Publisher: It was hell’s season, and the air smelled of burning children…. With “one of the most arresting first sentences in contemporary writing” (The Atlanta Journal-Constitution), Robert McCammon unfurls his visionary masterpiece of survival, redemption, and the astonishing transformations love can create. GONE SOUTH chronicles a desperate man’s journey through a desperate land, in “a gothic picaresque that mixes gritty plot and black comedy…a smoothly constructed and satisfying story” (The Wall Street Journal ). Flooded by memories, poisoned by Agent Orange, Dan Lambert kills a man in a moment of fear and fury — and changes his life forever. Pursued by police and bounty hunters, Dan flees south toward the Louisiana bayous. In the swamplands he meets Arden Halliday, a young woman who bears the vivid burdens of her own past, and who is searching for a legendary faith healer called the Bright Girl. Looking for simple kindness in a world that rarely shows it, bound by a loyalty stronger than love, Dan and Arden set off on a journey of relentless suspense and impassioned discovery…over dark, twisting waterways into the mysterious depths of the human heart. The Five — (2011) Publisher: Subterranean Press is proud to present Robert McCammon’s first contemporary novel in nearly two decades, a tale of the hunt and unlikely survival, of the life and soul, set against a supernatural backbeat. Robert McCammon, author of the popular Matthew Corbett historical thrillers (Speaks the Nightbird, Mister Slaughter), now gives us something new and completely unexpected: The Five, a contemporary novel as vivid, timely, and compelling as anything he has written to date. The Five tells the story of an eponymous rock band struggling to survive on the margins of the music business. As they move through the American Southwest on what might be their final tour together, the band members come to the attention of a damaged Iraq war veteran, and their lives are changed forever. The narrative that follows is a riveting account of violence, terror, and pursuit set against a credible, immensely detailed rock and roll backdrop. It is also a moving meditation on loyalty and friendship, on the nature and importance of families those we are born into and those we create for ourselves and on the redemptive power of the creative spirit. 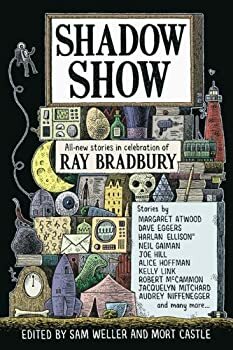 Written with wit, elegance, and passionate conviction, The Five lays claim to new imaginative territory, and reaffirms McCammon’s position as one of the finest, most unpredictable storytellers of our time. CLICK HERE FOR A FEW MORE TITLES BY ROBERT MCCAMMON.